Josh Park Memorial Trail is located in Dam Site Park on scenic Greers Ferry Lake. Being located in a major park operated by the U.S. Army Corps of Engineers, the trail offers a large array of experiences for a wide variety of people. The trail is used by campers in Dam Site Park, as well as hikers, walkers, runners, bicyclists, and nature enthusiasts alike. Location: Dam Site Park, Greers Ferry Lake, At Greers Ferry Lake Dam near Heber Springs. From Dam Site Park approximatley .25 miles East on Hwy 25B turn North into trail parking lot just befor the Hwy 25B and Hwy 25 intersection. 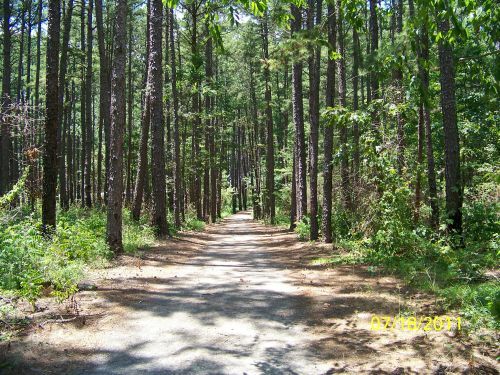 Josh Park Memorial Trail is located in Dam Site Park on scenic Greers Ferry Lake. 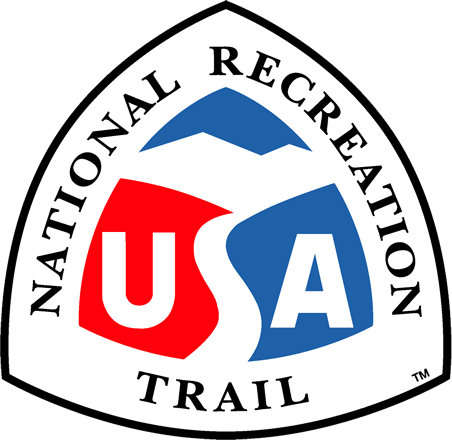 Being located in a major park operated by the U.S. Army Corps of Engineers, the trail offers a large array of experiences for a wide variety of people. The trail is used by campers in Dam Site Park, as well as hikers, walkers, runners, bicyclists, and nature enthusiasts alike. Likewise, the trail is used by the local high school to train for and host an annual cross-country track meet, therefore, providing trail experiences for underserved communities. Josh Park Memorial Trail consists of one primary trail with five (5) secondary trails. All combined, there is approximately 1.9 miles of total trail. The trail winds through a large stand of loblolly pine and some mixed hardwood stands comprised of an oak-hickory component. The trail surface is 6-8 feet wide and covered with wood chips providing a uniform walking surface. A paved 24 space parking area and restroom facility provides added convenience for visitors. There is also a 10-Station Outdoor Fitness Center at the trail head that allows individuals to engage in a wide variety of exercises if they so desire. Josh Park Memorial Trail is just minutes away from the Little Red River, one of the finest trout fisheries in the state, the Greers Ferry National Fish Hatchery, and three other hiking trails, two of which, the Mossy Bluff Trail and the Buckeye Trail, are currently members of the National Trails System. Although camping is not permitted on the trail itself, visitors interested in a great camping experience can camp in Dam Site Park or may choose to camp in one of the other 12 campgrounds operated by the U.S. Army Corps of Engineers on Greers Ferry Lake.